Amy's Creative Pursuits: Pretty in Pink! Hello! I have a very feminine birthday card to share with you today. 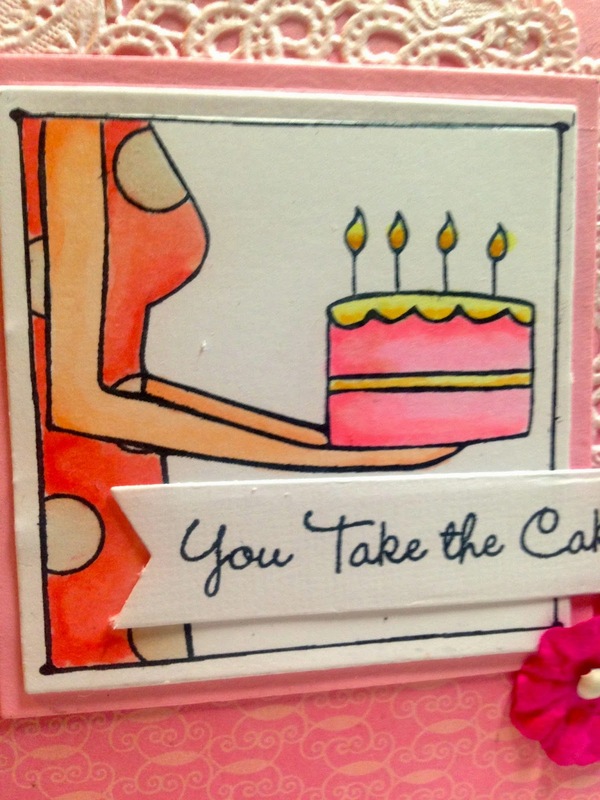 I used an old retired MFT set called 'You Take the Cake' and lots of pink paper and embellies to create an ultra girly card. I even added a paper doily behind the main image and did some crazy stitching for more frilly, girly charm. The image was colored with Copic Markers. Pink and pretty. Pretty in Pink! Linking up with Motivational Monday! Very cute! I love cards like this they just look so much better! A very pretty card Amy! I love the pinks and nicely colored image. Great card, Amy! I love the doily & those flowers you added. Have an awesome day! Superb with the doily, an elegant and pretty card !